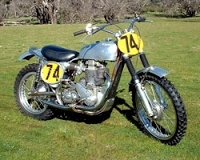 Vintage Motocross Club of WA - The club is the leading body actively promoting Vintage motocross in Western Australia. 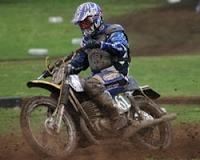 The club is the leading body actively promoting Vintage motocross in Western Australia. VMXWA runs a full winter calendar from March through to around October. The tracks used by the Club include natural terrain and established 70’s era tracks, ideally suited to VMX racing. Racing is low-key with the emphasis on restoring, riding and enjoying your ‘vintage’ machinery. Introducing the sport to Western Australia in 1995, VMXWA set out to recreate the sights, sounds, smell and camaraderie of the ‘golden years of motocross’ – the 60’s and 70’s. 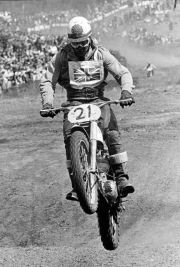 The underlying theme in Vintage Motocross is “the spirit of the era”. You won’t find any modern “obstacles” on a VMX track, but you will find mud, dirt, dust, hills and a group of riders who love the sport and the bikes they ride. VMXWA is exclusively pre-75 era, so if you own a trail or dirt bike, solo or sidecar built before December 31st 1974, with no more than 7″ front wheel travel and 4″ rear wheel travel, then it’s eligible for vintage motocross. The Club meets every 4th Wednesday of each month (excluding December) at the Como Bowling Club, 99 Hensman Street, South Perth. Start time for club nights is 8:00pm. Club contacts are also available on this website. 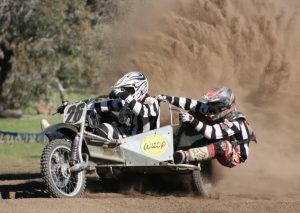 14th April Narrogin Busy bee / Rec run. 13Th October Narrogin wind up. Please be advised before each event there will be more info.